Do you get inundated with nuisance telesales messages too? This week I scored a public relations success for my Lancashire business networking colleagues after a particularly abusive telesales voicemail message. And here’s how I did it. As a PR guy I never know when inspiration may strike. 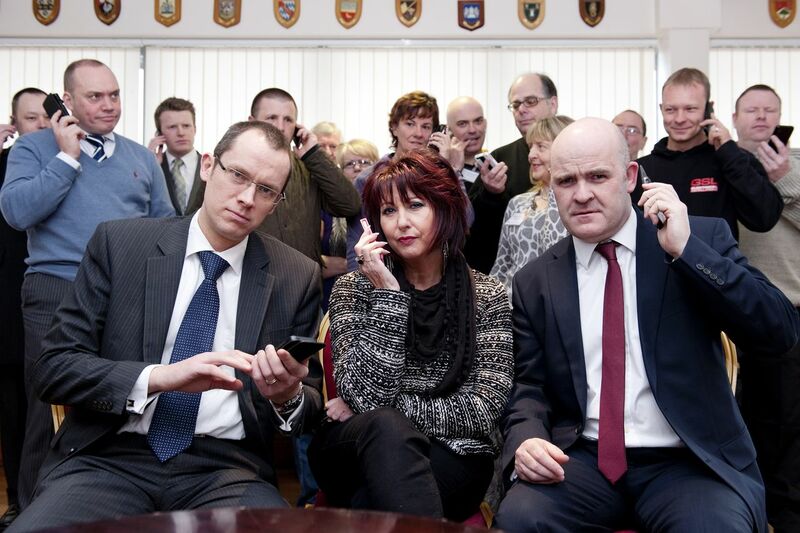 A few weeks ago some networking colleagues at the Lytham Business Development Association were huddled round a mobile phone with jaws on the floor. It turns out that one of the members had been bombarded with unsolicited calls on one particular day until he decided he’d had enough. Only, when he hung up on the cold caller – the cold caller took offence. We all listened to the message. And the conversation became increasingly animated as we all shared stories about constant interruptions about PPI and random calls from people asking us to take part in mythical surveys. With permission from the recipient of the voice mail I sent a copy of the message to the local paper – The Blackpool Gazette. the business editor was astounded too. I mobilised colleagues at the BDA to provide quotes about experiences and make a stand against unscrupulous telesales practices. So what public relations lessons can we learn? Businesses joining forces against a common evil makes a great conflict news story. Responding in the right way. (A positive way) shows all the participating businesses in a great light. You can achieve great news coverage without a news release. News releases are not the be all and end all. If your story is good enough, journalists will work with to build a brilliant news item that works for everyone. The only loser on this occasion is the guy who left the message. This was never a witch hunt. He obviously has a few issues. Hope he finds a personal solution. IMPORTANT! DO NOT LISTEN TO THIS IF YOU ARE AT WORK, CHILDREN CAN HEAR OR IF YOU ARE OFFENDED BY CRUDE LANGUAGE. IT’S A BAD ONE. YOU HAVE BEEN WARNED!